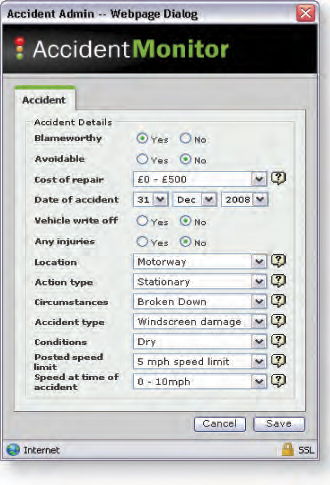 AccidentMonitor is a web-based accident management system that enables you to keep a central record of all vehicle-related accidents your employees may be involved in. By recording all the essential information in one place you can easily spot trends and react quickly to any insurance claims. 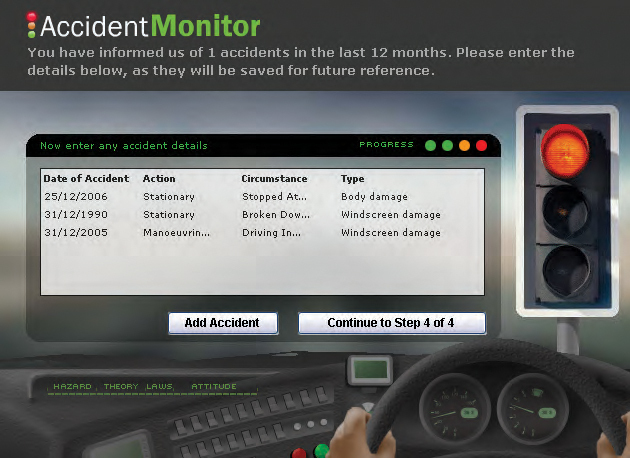 AccidentMonitor can work with LicenceMonitor and FleetMonitor to give you a complete picture of a driver’s profile before the accident happened – and also ensures that your company is protected against any legal claim.